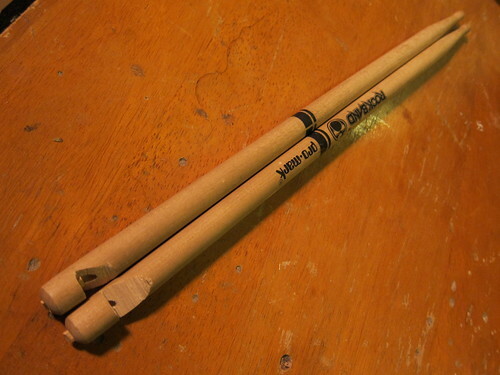 I believe in multiple-use instruments, so I turned the drumsticks from my Rock Band video game into whistles. 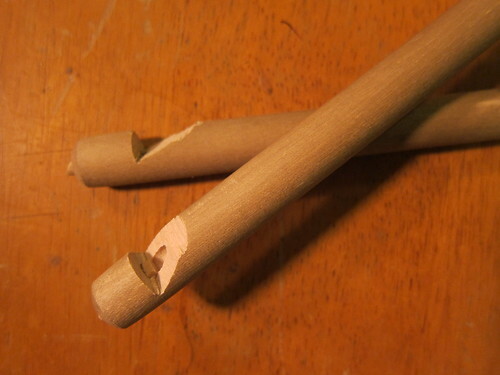 Materials: drumsticks, wooden dowels, wood glue. This entry was posted in instrument-a-day 2011, photoblog by ranjit. Bookmark the permalink.